During a visit to a local garden centre, I bought a pack of 6ft bamboo rods. Armed with just a couple of rolls of sticky tape, some fibreglass rod, cable ties and the pack of bamboo, I set about building a beam for 10M. 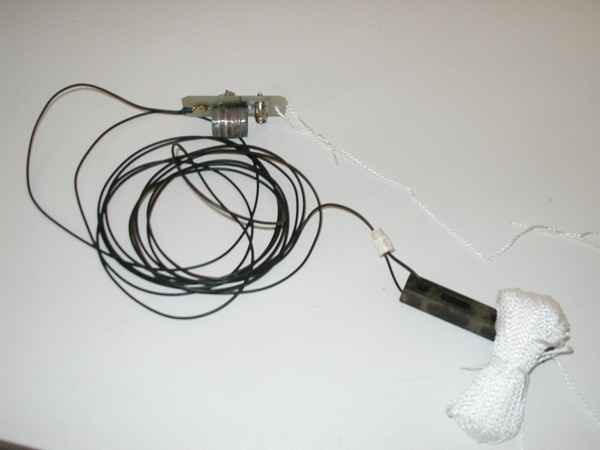 This page describes a rotatable hanging loop antenna that has been specifically designed for hanging in a tree... Horizontally polarized with a broad azimuth pattern and gain of nearly 3dB over a simple horizontal dipole! Fishin' for DX? A few fishin' poles and a hank of wire can help you snag the Big One! 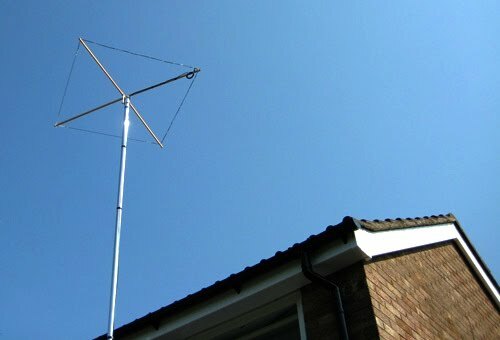 The Homebase10 is a simple to make wire halo antenna for 10m (28MHz) built using parts available from the local DIY store.The resulting antenna is very effective on 10m despite its small size and light weight. Using inductors, the total length of antenna is about 50% of a full size 40m. Band Dipole. The internal part of antenna (2 "A" sections) is a full dipole for 10m Band. Loop antennas are a favorite among hams. 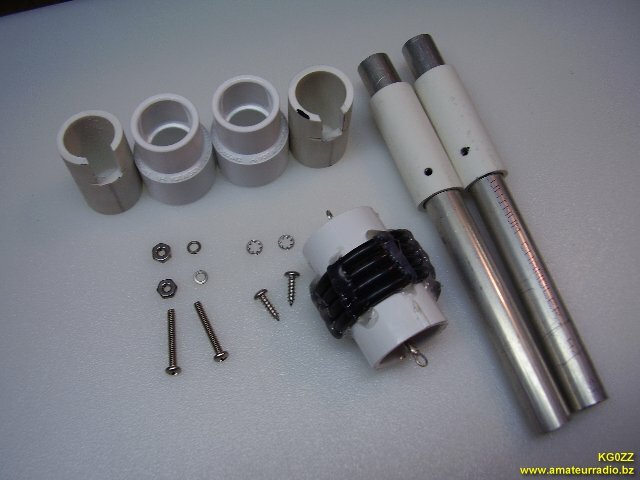 They are a simple design and offer more gain than a half wave dipole antenna. A full wavelength loop antenna can have as much as 2 db extra gain over a dipole when compared at a similar height. Although primarily mounted on a mast and used for short range base to mobile communications, ground plane antennas also make good DX antennas. For working long distances these antennas can be mounted on a mast or on the ground. This antenna project came out very nice. It's a rugged homebrew multi-band trap vertical antenna that works the 10, 15, and 20 meter amateur radio bands. The antenna can be mounted on the ground or on a mast. This is a no compromise dual band antenna. Instead of using traps, this design interlaces two separate antennas on one boom. This is a full size, four element beam on 10, and three elements on 15 meters! The 3 element is a commercial antenna by PAN International, which I slightly modified for good performance on the 10m Amateur-Radio band. Design Frequency: 28.300 MHz. Hankerin’ for more performance on 10 meters? Wanna greet the upcoming sunspot peak with gusto? 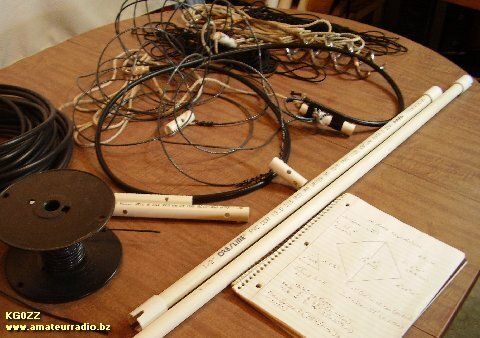 This home-brew two-element beam is the perfect introduction to rolling your own gain antenna. Une pensée particulière à nos amis "ON3" lors de la confection du prototype de cette antenne, on vient de leur attribuer la bande des 10 mètres. Idéale pour le 28 MHz QRP ( 10 watts maximum ), parfaite pour le trafic en portable par sa facilité d’implantation.